CIA Pays AT&T For Data On International Calls, 'Times' Says : The Two-Way Government officials tell The New York Times that the phone company searches its records for international calls that may help identify foreign terrorists. In the process, the Times says, data about some calls made by U.S. citizens may also be collected. 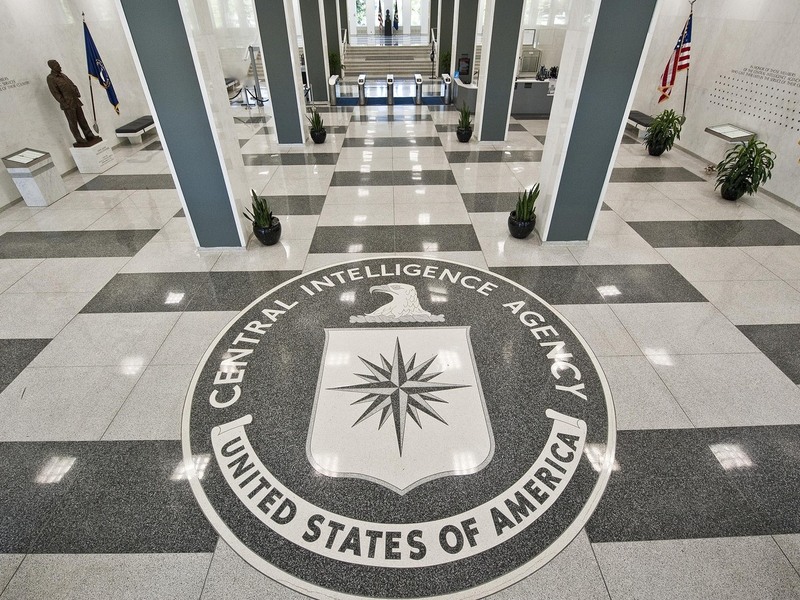 The seal of the CIA at the agency's headquarters in Virginia. "The CIA is paying AT&T more than $10 million a year to assist with overseas counterterrorism investigations by exploiting the company's vast database of phone records, which includes Americans' international calls, according to government officials." "The C.I.A. supplies phone numbers of overseas terrorism suspects, and AT&T searches its database and provides records of calls that may help identify foreign associates, the officials said." A CIA spokesman wouldn't confirm the program's existence, but tells the Times that the agency's work is done according to the law and is "subject to extensive oversight." AT&T spokesman Mark Siegel also does not confirm the program's existence and is reported as saying the company values customers' privacy and complies with the law "in all respects." Most of the calls the CIA wants data about are "foreign-to-foreign," officials say. If one end of a call is from the U.S., the agency reportedly "masks" several digits when it requests information. Other news outlets, including NPR, haven't yet matched or knocked down the Times report. The story comes after several months of revelations about the electronic data scooped up by the National Security Agency — revelations leaked by former NSA contractor Edward Snowden. The Times says its reporting "shows how agencies beyond the NSA use metadata." "In all cases, whenever any governmental entity anywhere seeks information from us, we ensure that the request and our response are completely lawful and proper," AT&T spokesman Siegel says in a statement just emailed to us by the company. "We ensure that we maintain customer information in compliance with the laws of the United States and other countries where information may be maintained. Like all telecom providers, we routinely charge governments for producing the information provided. We do not comment on questions concerning national security."